What car maintenance project can any idiot do? These days, drivers are hanging on to their cars longer than in the past. Luckily for them, with proper maintenance, modern cars last longer than a set of Samsonites. What car maintenance project can any idiot do? We're going with brake-pad replacement. 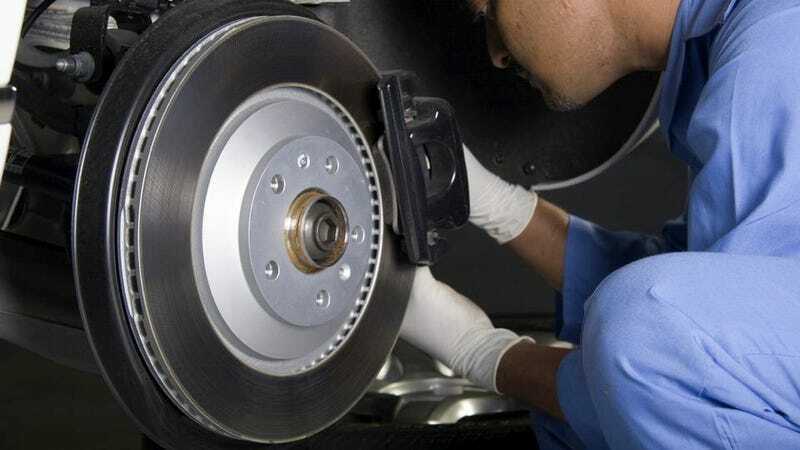 It may be daunting at first, but changing brake pads is one of the simplest maintenance jobs a ham-handed car owner can do. A jack, some jack stands, a lug wrench, a couple of simple tools and you're in business. And if you're brave, you can even change the rotors, then lure a friend over with a six-pack and bleed the lines. Damn, you're half a mechanic already.